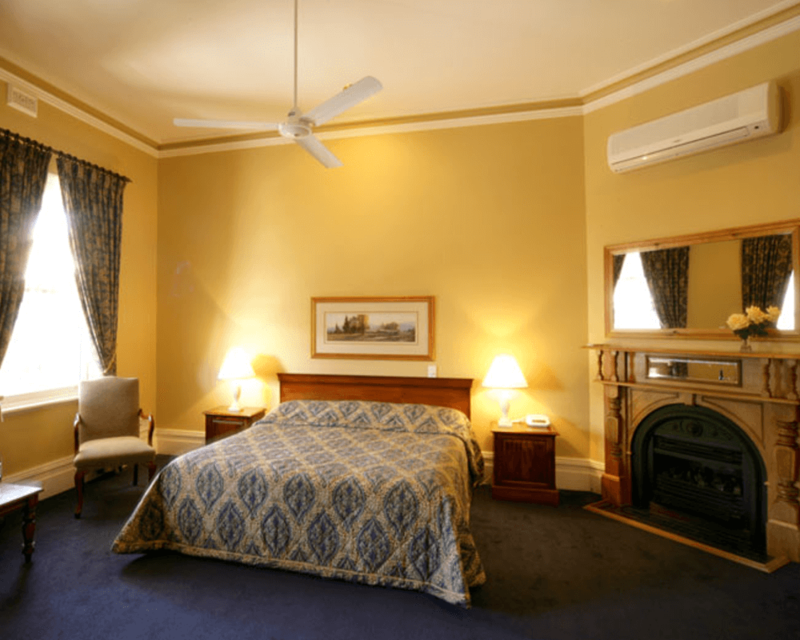 The York Palace Hotel offers a range of quality accommodation both within the heritage hotel and also the adjacent Terraces accommodation, separate from the main hotel. 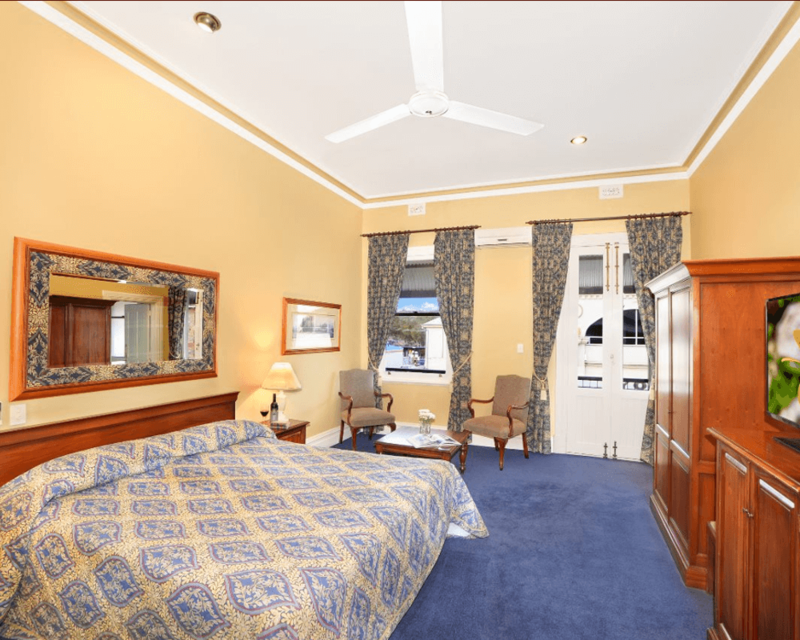 All our accommodation focuses on quality, comfort and convenience and you are assured of a warm welcome. Located on the first floor of The York Palace Hotel, the Lord Forrest suite is our premier suite, situated in the prime position on the corner of the first floor with views to Mount Brown and Mount Bakewell. This luxury room has access to the wide verandah overlooking Avon Terrace with a private seating area. Platters or sharing plates can be pre-ordered to dine casually prior to dinner later in the bistro. The room features a large balcony overlooking Macartney Street and Avon Terrace. The vintage rooms, as with the suites, are finished in rich timber and royal carpets with brocade drapes & bed dressing. Air conditioning & ceiling fans are standard along, as well as free standing spacious wardrobes. Complimentary Wi-Fi available. Constructed in 1909 and accommodated within the main hotel building, our classic heritage accommodation provides all of the luxury and modern conveniences with the style and nostalgia of the past. 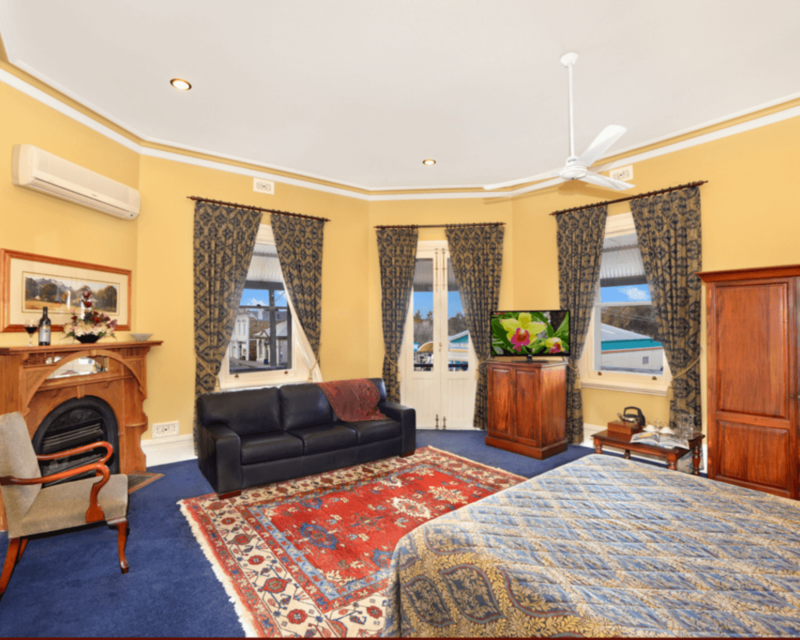 Classic accommodation rooms face front onto Avon Terrace with views along the street and towards Mount Brown. 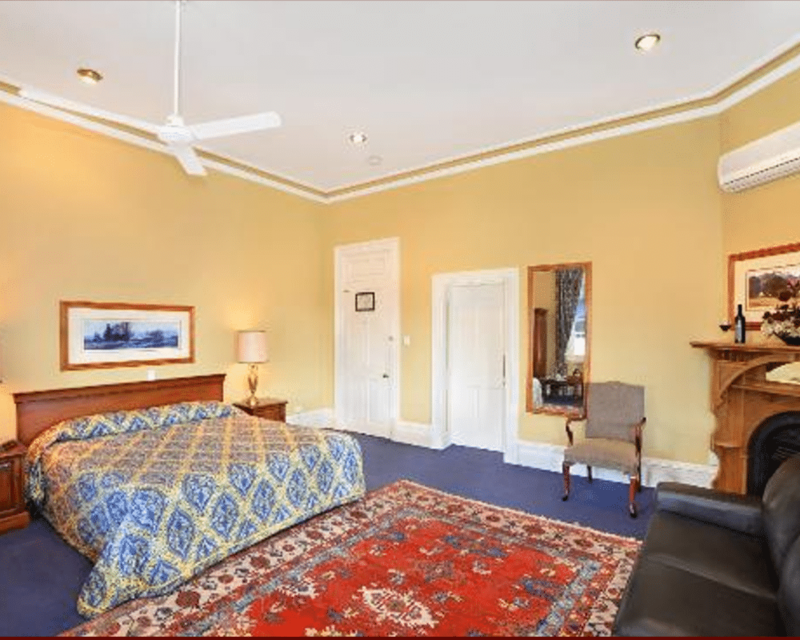 Located on the first floor of The York Boutique Heritage Hotel, these luxury rooms feature heritage 3.5-metre ceilings with floor space exceeding 30-square-metres. These rooms have king size beds with high quality linen, spacious ensuites with shower facilities and towelling robes. There is a table setting for two on the non smoking verandah, ideal for sipping a chilled wine (or two). Enjoy the best of old world luxury in one of these original bedrooms at the Palace. When not enjoying the comfort of the super comfortable king size bed, enjoy the view, sipping a drop of your favourite beverage on the spacious verandah. 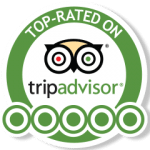 The classic rooms are finished in rich timbers and royal carpets with brocade drapes & bed dressing with ceiling fan, air conditioning and flat screen 42″ TV – the best accommodation in the Avon Valley. Complimentary Wi-Fi available. The Terrace accommodation is beautifully appointed all with ensuites, free form showers with premium bathroom fixtures in timber and granite. The Terrace suites are all ground level and provide the convenience of a secure adjoining car park. 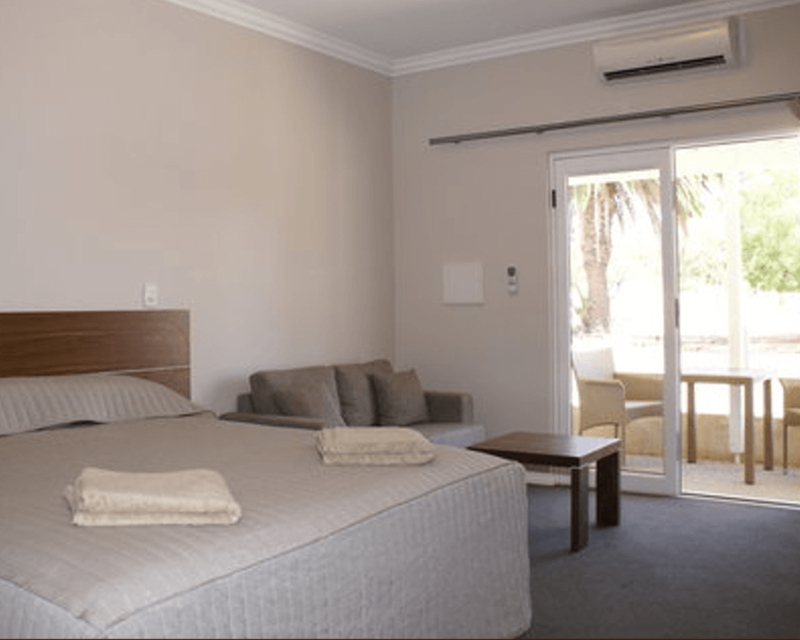 All rooms have reverse cycle air conditioning, flat screen TV’s, fridge and tea and coffee making facilities, as well as purpose built free standing timber furniture. There is a separate couch with coffee table and a matching desk, for the corporate traveller. 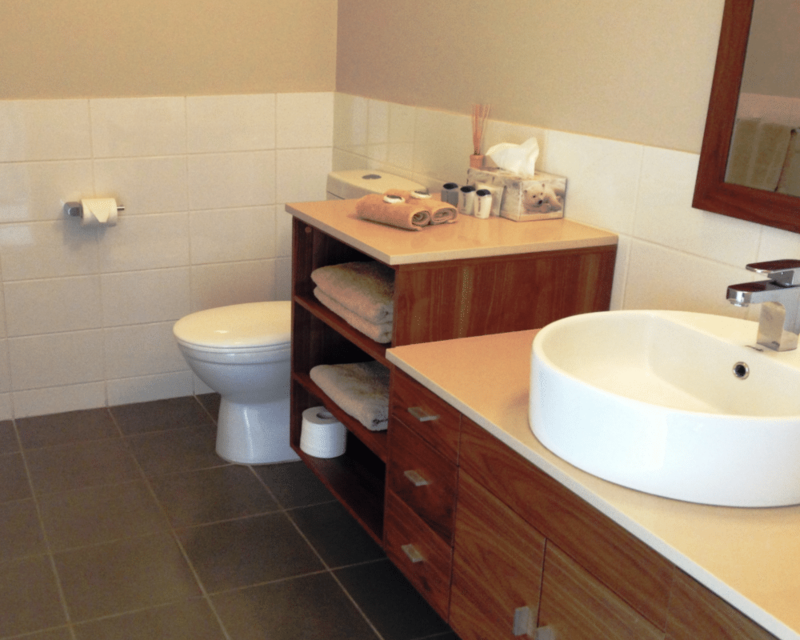 All bathrooms have towels and toiletries complimentary. A table setting for two provides a space to unwind at the end of the day. 145 Avon Tce, York, 6302, W.A.